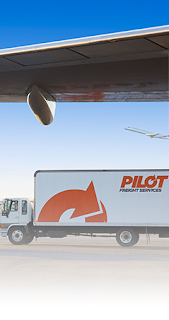 If size matters, then Pilot’s latest logistics venture is the one to beat. The operation—which eventually will grow to 200,000 square feet and could potentially more than double when the program is final—supports a world-leading provider of aviation jet engines and components. Pilot now manages this company’s largest global logistics facility, providing the type of creative solutions other 3PLs were struggling to resolve. Since assuming control in mid-March, Pilot now has more than six full-time employees managing the warehouse operations, which contains both tools and parts required to support grounded aircraft. These tools and parts, which must be ready to ship anywhere in the world in less than 24 hours, can be massive as well as very sensitive. The scope of the program changes almost weekly with the provider bringing new global and domestic opportunities to Pilot for solutions. “Eventually, it will grow to a worldwide focus with Pilot managing in some capacity multiple global centers, handling various degrees of field support, including facility solutions, IT solutions and unique scopes of work,” says Stephen Bullard, vice president, logistics services. The most immediate next steps will focus on solutions in airport support centers in the U.S., U.K. and Europe.